Yash Raj Films and director Vijay Krishna Acharya have been treating us to some cool behind the scenes looks into the making of the epic Thugs of Hindostan. First we had a look into the planning, construction and sailing of the 2 massive historically accurate ships. Then the stars of the film Amitabh Bachchan and Aamir Khan gave some fascinating insight into shooting on these ships. Now we have a brand new BTS video and the story this tells really surprised us! 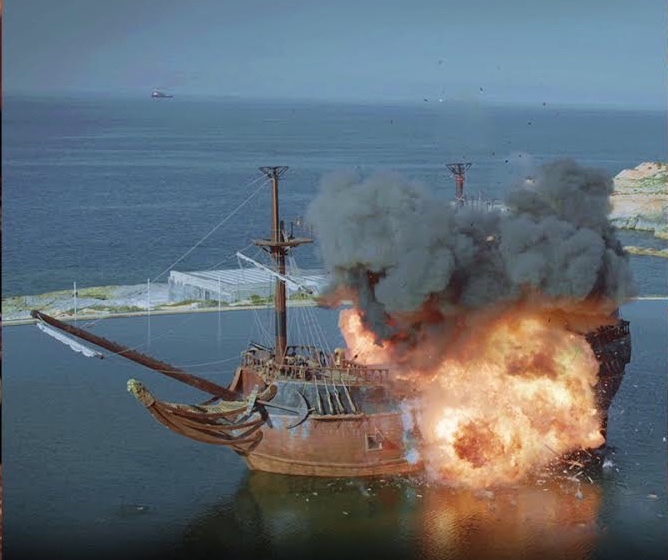 Watch what went into Vijay Krishna Acharya’s decision to blow up the 2 lakh ton ship of Thugs of Hindostan to bits for a much-needed high scale action sequence. Apparently parting with the ship was not easy and quite emotional but it made for a spectacular shot! Also starring Katrina Kaif and Lloyd Owen, the film sails into the big screen on November 8th. We can’t wait!